Find Greenfield, IN Homes for sale. View Photos, Maps and MLS Data Now! Village At Bowman - Large, fully fenced, private yard with mature landscaping and patio for summer cook outs! MLS#21635333. Keller Williams Indy Metro NE. Cranberry Lake Estate - There are numerous updates in & out making this home a definite move-in ready property! MLS#21635160. CENTURY 21 Wilson & Associates. What used to be attached garage is now an office and huge laundry room and a half bath but rails are there for easy conversion back. MLS#21635216. CENTURY 21 Wilson & Associates. 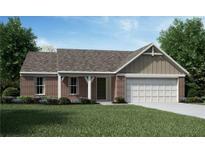 Heron Creek - Enjoy the peace of mind with a home warranty provided to you by the seller. MLS#21635246. The Vearus Group. Huntington Heights - Updates from 2019: updates to the bathrooms, landscaping, new water softener, resurfaced concrete stoop in front and new front entry doors and handles. MLS#21634830. F.C. Tucker Company. 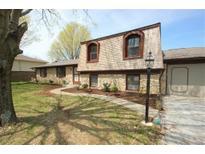 New roof, HVAC (6 years), fresh painted exterior, NEW garage vinyl, Driveway (4 years), newer windows MLS#21632867. Carpenter, REALTORS®. Covered porch, open patio, storage barn, and fenced. MLS#21635021. RE/MAX Realty Group. Criket Reel - Nice deck in back and beautiful landscaping. MLS#21633773. RE/MAX Realty Group. Nice storage barn in the backyard too MLS#21633253. RE/MAX Results. Sawmill - HOA has pool, playground, ponds, and walking trails. (G-BRA) MLS#21633332. CENTURY 21 Wilson & Associates. Westin Village - The 2 car garage is very large and offers an upstairs storage access. MLS#21633142. F.C. Tucker Company. Full fence, mini barn, and firepit to use & enjoy. Come look! MLS#21632920. Berkshire Hathaway Home. Whitcomb Meadows - There is so much character here! MLS#21633029. Highgarden Real Estate. Convenience, privacy, and a country view! New Palestine schools! MLS#21632833. My Agent. 9 Foot Ceilings, 42 Inch Kitchen Cabinets With Tile Backsplash, Custom Privacy Fence And Outdoor Pergola, Garden Tub, Large Walk In Closets In All Bedrooms, Wood Laminate Floors In Foyer, Study, Great Room, Garage Entry And Powder Room, All 2.5 Inch White Window Blinds Stay, Oversized Double Door Pantry, Board And Batten custom trim in kitchen and powder room, close to community pool and playground, large 18x17 master bedroom, tons of closet space throughout home. MLS#21632825. Paradigm Realty Solutions. Home is close to shopping, dining and easy access to I 70. MLS#21632852. United Real Estate Indpls. Oak Highlands - The back yard is fully fenced (privacy) and a large concrete patio ready for some new spring furniture and BBQ grill! MLS#21632159. Front Porch Real Estate, LLC. You will love this blast from the past! Must See! MLS#21631538. Berkshire Hathaway Home. Cobblefield Estates - Bkyard w/Patio & Greenhouse...Perfect for Plant Lovers! Mt Vernon schools. MLS#21631925. 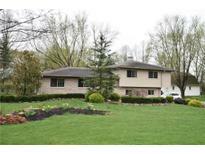 Keller Williams Indpls Metro N.
Twin Oaks - Home shows true pride of Home Ownership and is in "Move-IN" condition. MLS#21632583. Quality Real Estate Solutions. 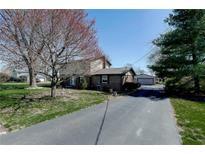 Hinchman - Home is in walking distance to Downtown Greenfield. MLS#21632658. F.C. Tucker Company.